A safe voyage requires great amount of planning from different staff on board. This article, part of our Bridge Procedure Series, explains the essence of ship navigation in ocean waters and the role of navigational tools in ensuring a safe sail at the sea. 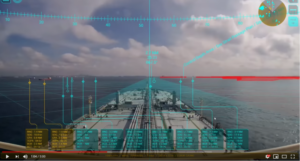 Ship navigation is referring to the voyage practices, focusing on the process of monitoring and controlling the movement of the ship from one place to another. Specifically, starting from knowing where you are on a chart and choosing the best route to where you are heading. Marine navigation is a big challenge, as it requires both knowledge and skills. This is especially true nowadays - in the GPS age - but it was also true when the only available navigation was the celestial. This equipment can provide a safe voyage only when is maintained as appropriate and is activated carefully by a well-trained crew. 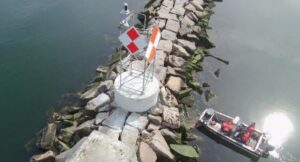 A real-life accident occurred on 07 May 2016, in Ningbo, a few miles out of EEZ, indicates the importance of thorough preparation procedures before ain ocean waters. A Bulk Carrier which was enroute to Samarinda in Indonesia, to alter course for Ningbo, China, suspected of being involved in a collision with a fishing vessel. While making an alteration of course to starboard to prevent the collision, it was alleged that the Bulk Carrier snagged the fishing gear. This move caused the capsizal of the fishing vessel, with the loss of all persons on board. The safety investigation found that the bridge on Bulk Carrier was not properly manned. It did not match the exigencies of ship navigation in restricted visibility and the observation of traffic by radar was inadequate. Weather forecast for the area ahead.